Pre-production has begun for our project. Richard has created some thumbnails of the town we hope to design here. Next stage will be concepts, designs and further thumbnails so we can start to show our aim and the town we plan to create. It has been a while since I created concept art, so I decided to jump in and try further techniques which I haven't before. 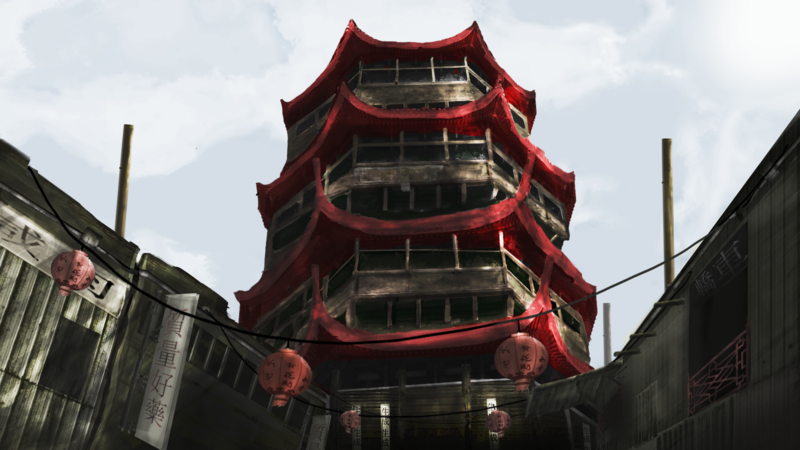 Below is a quick concept of a possible building that could be prominent in our environment, whether we further develop this or not will depend on the direction we take with our 'power-source' as well as the overall design of the town. 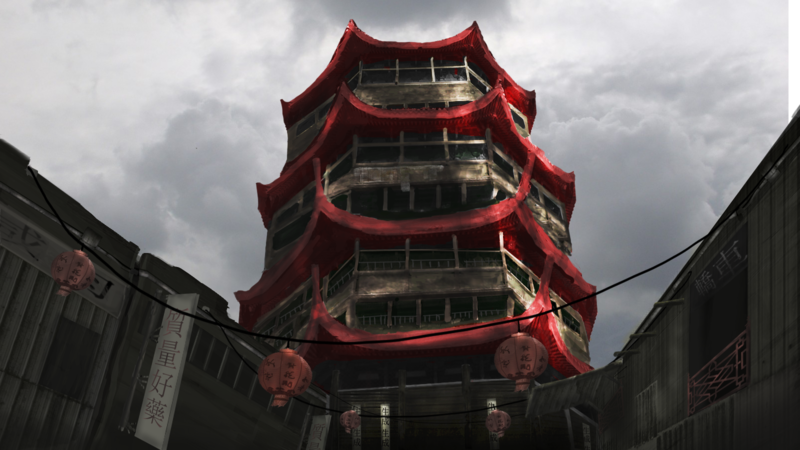 The principles behind the image were trying to blend a bit of Western run-down desert feel into Chinese architecture. This concept could be refined much further, and may even be but more ideas need to be explored. 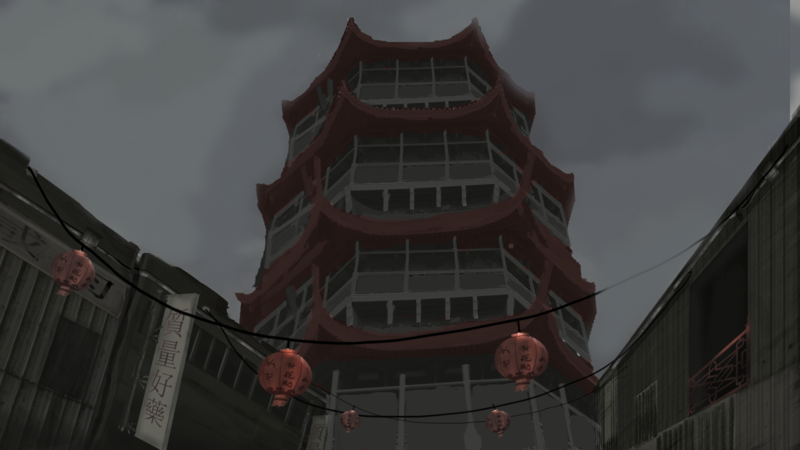 With more quick concepts and further research, our design of the town should start to come together.